MCMT (Marches Centre of Manufacturing and Technology) held its much-anticipated launch on Friday 10th November. 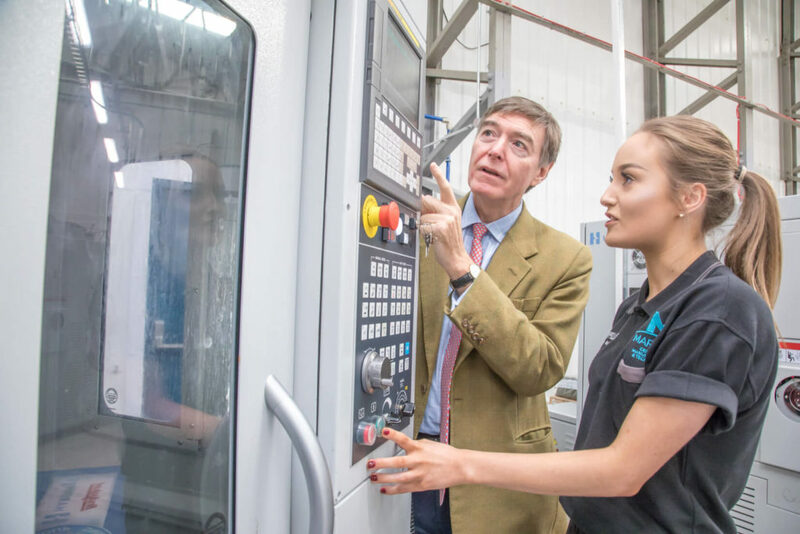 An expert collaboration of engineering firms (In-Comm Training & Business Services Ltd, Grainger & Worrall Ltd, Classic Motor Cars Ltd and Salop Design & Engineering Ltd) the MCMT significantly improves training prospects for upcoming apprentices and engineers. 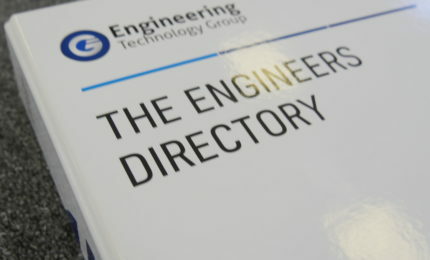 ETG (Engineering Technology Group), main sponsors of the ‘CNC zone’ of the training centre and a key client of Formation Media, have referred to the project as a “bright, modern-day oasis of manufacturing” and have worked tirelessly in collaboration with the leading firms to ensure the centre’s success. Formation attended the MCMT launch as both a guest and representative, providing social media support for several of our attending clients. We were thrilled to witness such a fantastic reception to such an important launch within UK engineering. In addition, Formation built the MCMT website which will be a key channel for potential apprentices, trainees and partners becoming a part of MCMT. With the opening of MCMT, Formation are proud to see yet another collaboration of engineers coming together to help secure the future of engineering for the UK. By providing a training facility equipped with state-of-the-art equipment and opportunities for learning, MCMT is a staple for all future engineers to get the best education possible and help contribute to this ever-changing and all-important industry. This isn’t the first time Formation have helped support a project dedicated to the future of engineering. The ‘Technical Academies’ programme is a direct result of collaboration between Formation Media, ETG and In-Comm. Having worked with ETG for over eight years, Formation Media have witnessed the business’ massive growth and played a nurturing role in bridging the relationship with In-Comm, who we also work closely with. Formation saw an opportunity for ETG and In-Comm to partner up their strategies and align their goals. With ETG’s need for more machine tool showrooms and In-Comm wanting to expand their training centres, there was definite scope for such a project to combine the two needs and create a fantastic partnership at the same time – the result of this was the Technical Academies programme. Initially, ETG maintained a centralised showroom in Southam, with sales representatives struggling to offer clients machine tool demonstrations locally. As an alternative, it was proposed that a network of sector-specific technical showrooms based around the UK and Ireland would support the sales teams: automotive to the Midlands, aerospace to the South and gas & oil to the North. The plan was excellent – but the incumbent costs to set-up such a footprint would be substantial. Martin Gordon (Managing Director, Formation Media), had met Gareth Jones (Managing Director, In-Comm) as Goldman Sachs Alumni, having both completed the business growth course at Aston University. Consequently, In-Comm became a client of Formation Media. Whilst working on their marketing strategy and business growth, it soon became apparent In-Comm sought to widen their reach in delivering their apprenticeship training schemes across the UK. From the first meeting between In-Comm, ETG, and Formation Media, it became clear that the drive for an ambitious project was there, and many exciting ideas quickly came to light. Turning the initial project meetings into a fully-fledged reality was an incredibly fast process, with ETG shutting the main Southam showroom and In-Comm pursuing an LEP consortium for funding for another training centre. We carried out a branding exercise with both ETG and In-Comm to give a face and voice to this new project. Combining the names of the technical showrooms and training academies, the project name ‘Technical Academies’ was settled on, and the project really began to take hold and grow as a result. Throughout this, Formation continued our work, building a strategy and subsequent marketing plan for the new project, as well as working on a website for In-Comm and developing software platforms that will eventually encompass all the training facilities at the academies in one system. 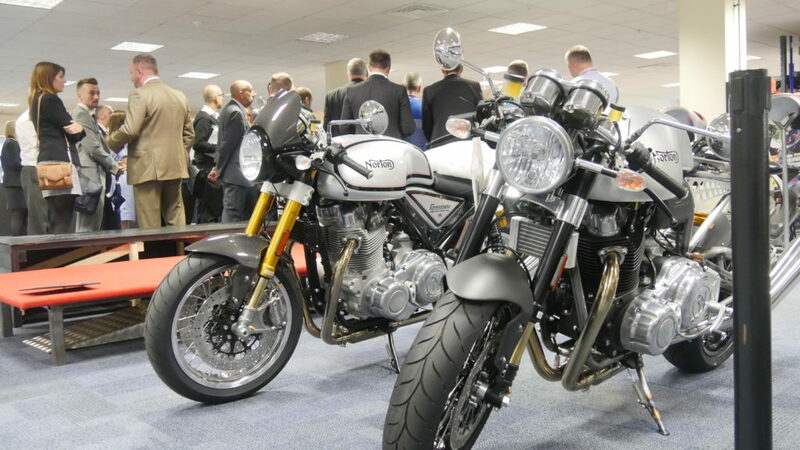 The first technical academy opened at the prestigious Norton Motorcycles in July 2017. The event was a huge success, with many guests in attendance, and national news and press coverage there to capture this landmark for the future of engineering. You can read the full write up from the day here. With not one but two fantastic programmes for the future of engineering now open and taking their first cohorts of apprentices and trainees, British engineering has a bright future ahead of it, and Formation are proud to be playing our part in supporting partners and project wherever possible.